REBA GOES GLAM WITH FHF TO HOST THE ACM AWARDS! Home > Farmanac > REBA GOES GLAM WITH FHF TO HOST THE ACM AWARDS! 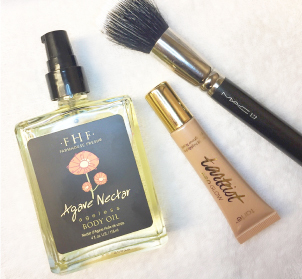 On April 15th, country music icon Reba McEntire hosted the 50th Academy of Country Music Awards � but not before basking in a few of our favorite best-selling products! Reba teamed up with Brett Freedman, longtime friend and celebrity makeup artist extraordinaire, to dream up the perfect look for this star-studded soiree. MIGHTY TIGHTY LOOKS MIGHTY FINE ON THE QUEEN OF COUNTRY! 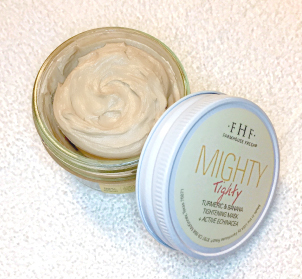 To begin, Freedman prepped Reba�s complexion with our newest firming mask featuring banana and turmeric extract � Mighty Tighty. 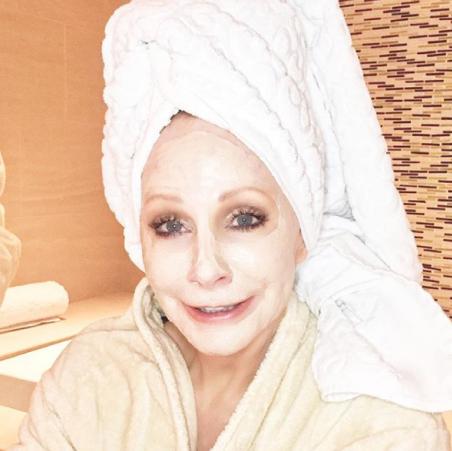 Did we flip on some cowboy boots and shout �yee-haw� when Reba posted her own facemask selfie on Instagram during their banana-rama party? You bet! 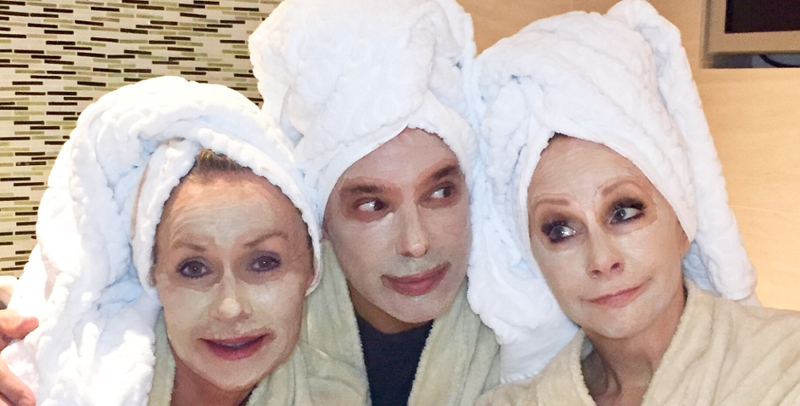 MAKING SURE REBA�S SKIN IS FIRM AND GLOWING IS EASY PEEZY WITH MY SECRET WEAPON: FARMHOUSE FRESH�S MIGHTY TIGHTY TURMERIC & BANANA MASK! AND THE FARMHOUSE FRESH LOOK FOR COUNTRY MUSIC�S GRANDEST SOIREE, YOU ASK? Brett spilled his FarmHouse Fresh secrets! He says, "I apply Three Milk Moisturizer all over face to plump and prime, along with Agave Nectar Oil, Crow Catcher and Sweet Tea Shea Butter to seal in all the natural perfection." Here�s to a country night for the books and FarmHouse Fresh looks!